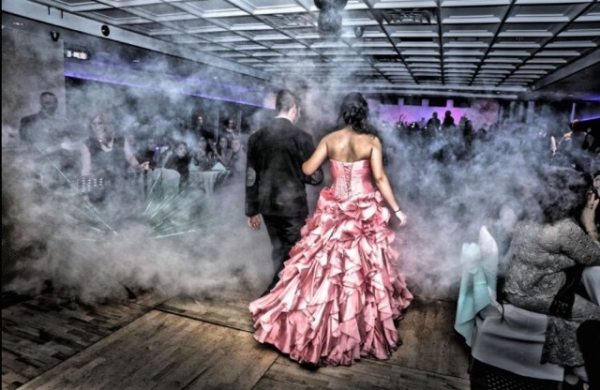 When it comes to planning your daughter’s quinceañera celebration, you want to make it as memorable as possible for your soon-to-be 15 year old. And what is more memorable – and wonderfully unique – than commemorating this special occasion aboard an upscale yacht in New York Harbor? Imagine your daughter celebrating with friends and family members as sights like the Statue of Liberty and the Manhattan Bridges pass her by. As the celebration continues into the evening, the bright lights of the NYC skyline will illuminate the festivities, offering an enchanting view that she and her guests will be absolutely in awe of. One of our favorite yachts for a quinceañera party is Atlantis. Especially attractive for upscale events, the elegant interior décor and four expansive decks clearly distinguish this yacht from her competition. Your daughter will be able to enjoy a breathtaking view of the NYC skyline from the upper deck, dance and laugh in the interior dance lounge and chat with friends in rich mahogany seating areas. She can even prepare to greet her guests in the yacht’s private cabin. With an aquarium onboard, a piano deck, dining deck, dance lounge and open upper deck with lounge furniture, the yacht boasts space for up to 300 guests. To begin the preparations for this once in a lifetime experience, call Metro Yacht Charters by phone at 646-780-9693. 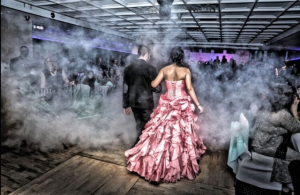 From gourmet appetizers to live entertainment and photography that will capture these moments forever, we are happy to assist you in the planning of each facet of your daughter’s special day.